The old adage of “you don’t know what you have until it’s gone” rings especially true in reference to your hearing. Many individuals fail to appreciate the many benefits hearing provides. Once you lose your hearing, you lose more than the ability to hear well; you also lose your capacity to communicate and connect with those around you. While hearing devices are not able to completely restore your hearing, they do provide a number of significant benefits. Improved relationships. Hearing loss can create a wedge between loved ones and place strain on relationships. Individuals with hearing aids enjoy better communication with their loved ones and improve relationship satisfaction. Enhanced job performance. Untreated hearing loss can negatively affect one’s career by making tasks such as conference calls and meetings more challenging. Most hearing aid wearers report that their devices help improve their performance. Increased socialization. When hearing loss is left untreated, it can lead to increased anxiety and social withdrawal. Social gatherings can be stressful for the hearing impaired, but hearing aid wearers report their devices have enabled them to socialize more frequently. Improved cognitive function. Hearing loss can lead to the deterioration of speech recognition and cognitive decline. By treating hearing loss, hearing aid wearers can prevent degeneration of cognitive function. Better physical health. Individuals with hearing aids are more likely to exercise than non-wearers. 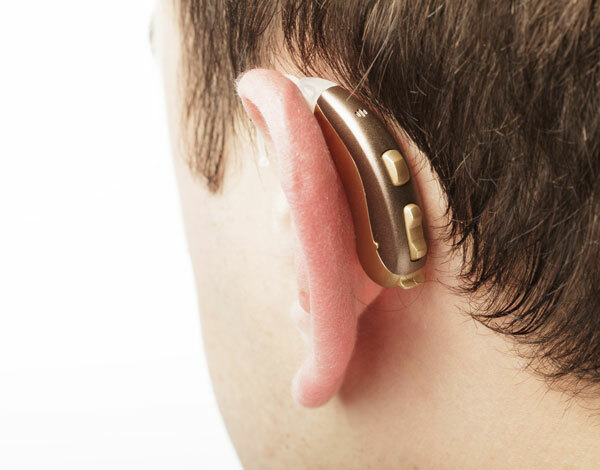 Many users report that their hearing aids have directly benefited their general health. There are many benefits to treating your hearing loss. In addition to improved communication, wearing hearing aids can also lead to enhancements in your social, emotional and physical health. If you or a loved one has hearing loss, hearing aids can improve your quality of life. To find the best hearing aids in San Diego, we encourage you to contact our team. San Diego Hearing Center provides a wide range of audiology and balance services including hearing evaluations, personalized treatment plans and hearing aid repair.